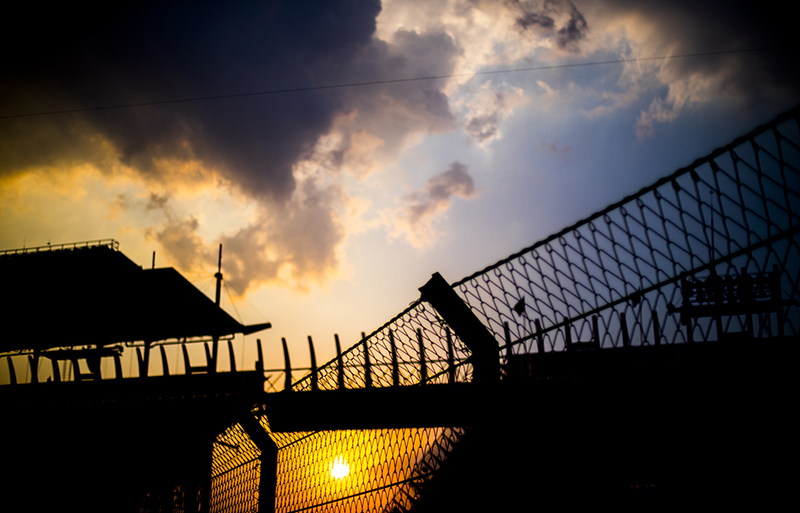 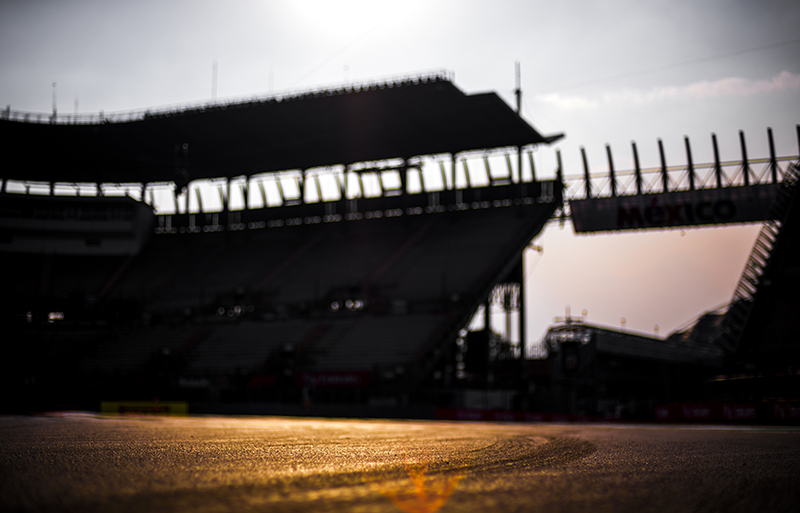 Sun goes down over the circuit during previews for the Mexican Formula One Grand Prix at Autodromo Hermanos Rodriguez on October 26, 2018 in Mexico City, Mexico. 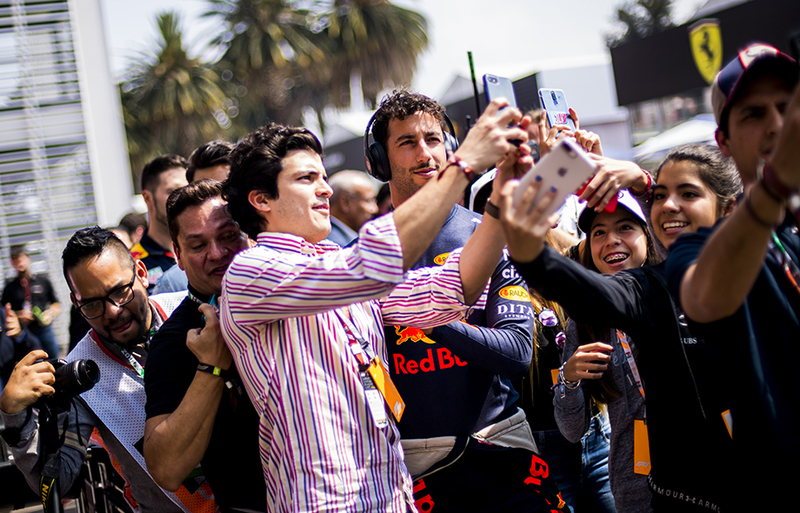 Fans take selfies with Daniel Ricciardo of Australia and Aston Martin Red Bull Racing during practice for the Mexican Formula One Grand Prix at Autodromo Hermanos Rodriguez on October 26, 2018 in Mexico City, Mexico. 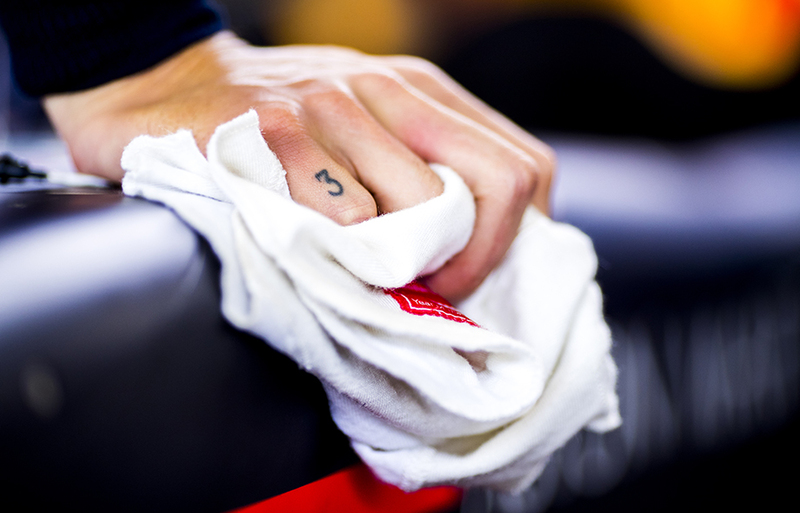 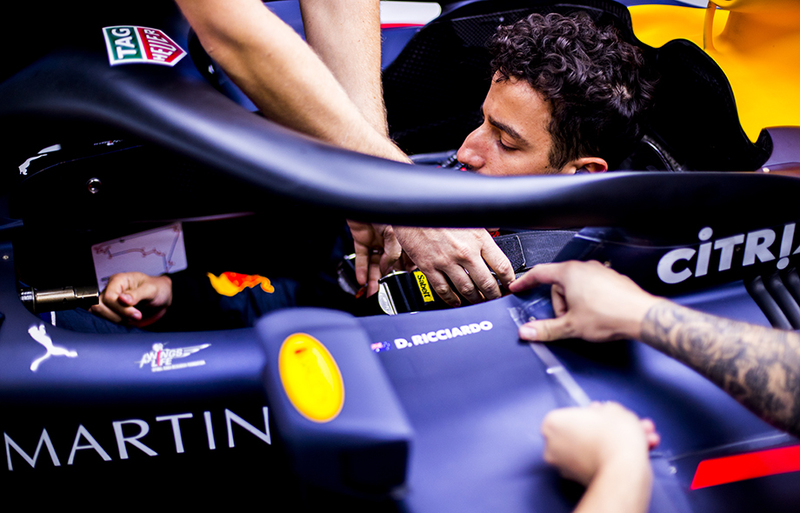 Daniel Ricciardo of Australia and Aston Martin Red Bull Racing is pictured in the garage during practice for the Mexican Formula One Grand Prix at Autodromo Hermanos Rodriguez on October 26, 2018 in Mexico City, Mexico. 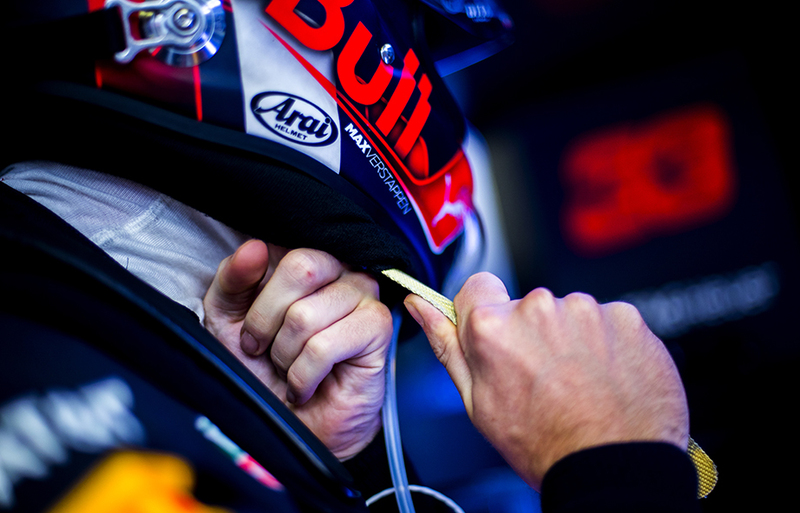 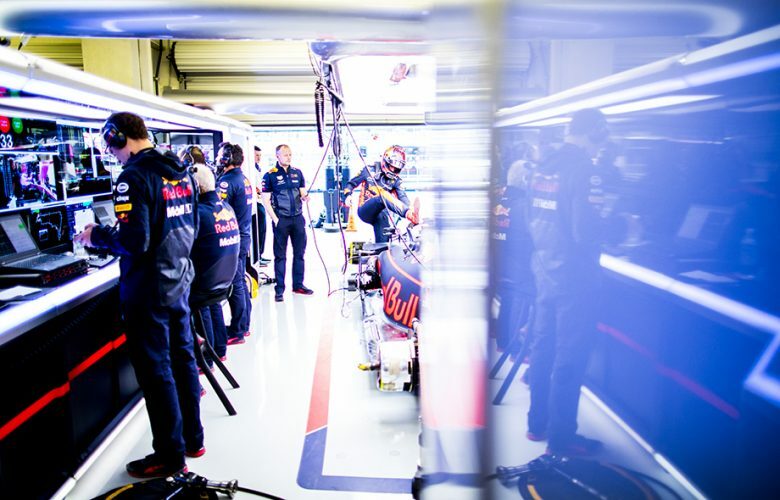 Max Verstappen of Netherlands and Aston Martin Red Bull Racing prepares in the garage during practice for the Mexican Formula One Grand Prix at Autodromo Hermanos Rodriguez on October 26, 2018 in Mexico City, Mexico. 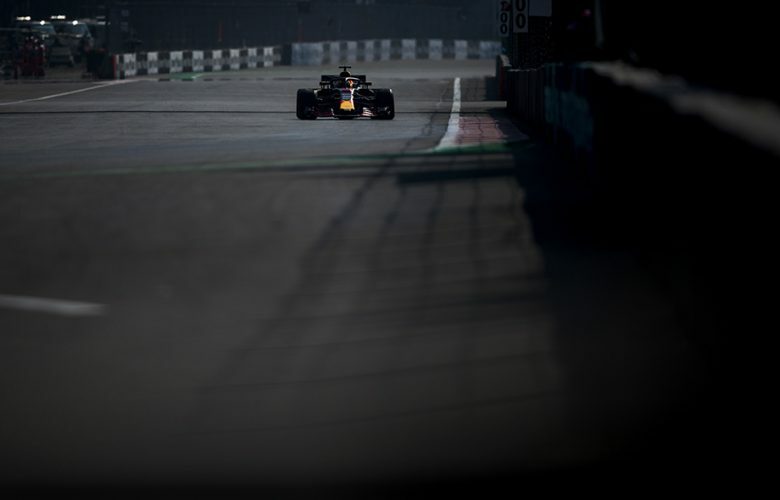 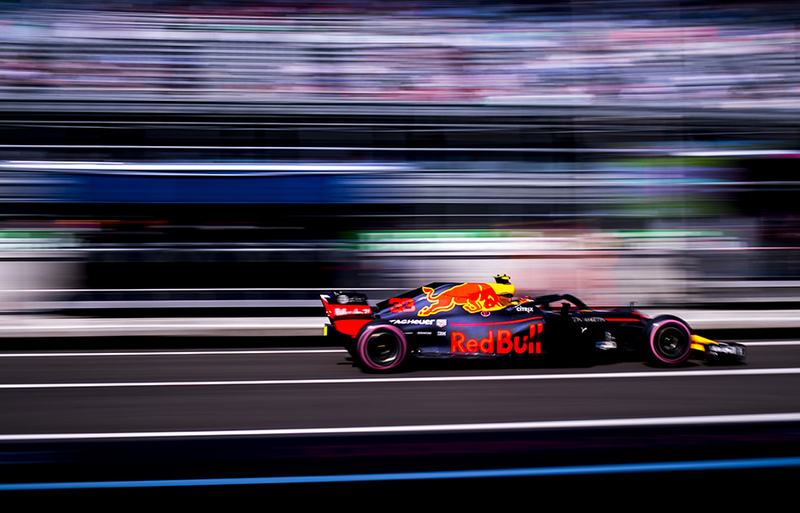 Daniel Ricciardo of Australia and Aston Martin Red Bull Racing drives his RB14 during practice for the Mexican Formula One Grand Prix at Autodromo Hermanos Rodriguez on October 26, 2018 in Mexico City, Mexico. 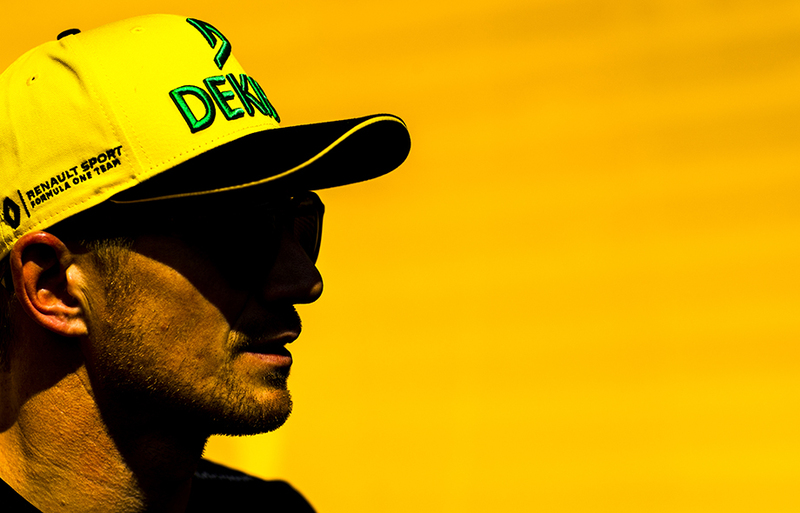 Nico Hulkenberg of Germany and Renault Sport Formula 1 Team is pictured during previews for the Mexican Formula One Grand Prix at Autodromo Hermanos Rodriguez on October 25, 2018 in Mexico City, Mexico. 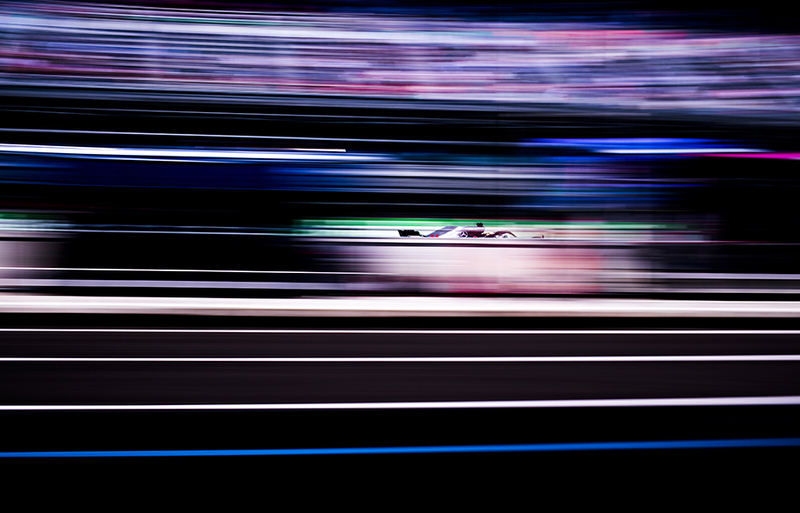 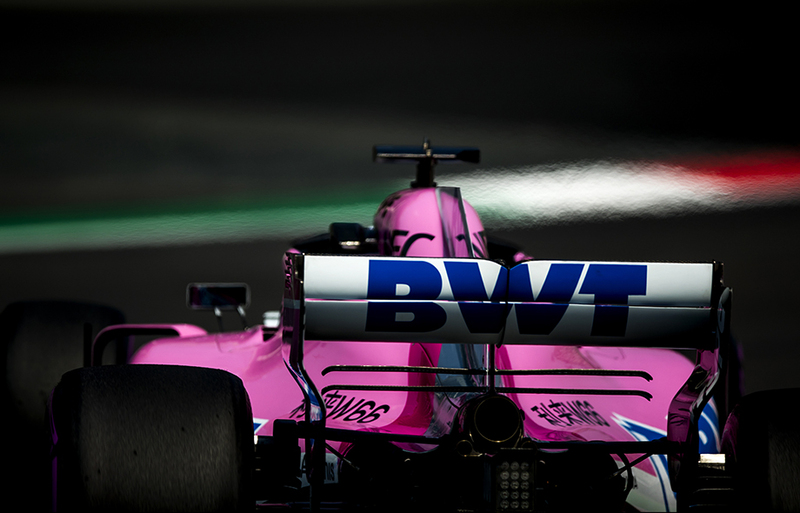 Sergio Perez of Mexico and Racing Point Force India drives his VJM11 during practice for the Mexican Formula One Grand Prix at Autodromo Hermanos Rodriguez on October 26, 2018 in Mexico City, Mexico. 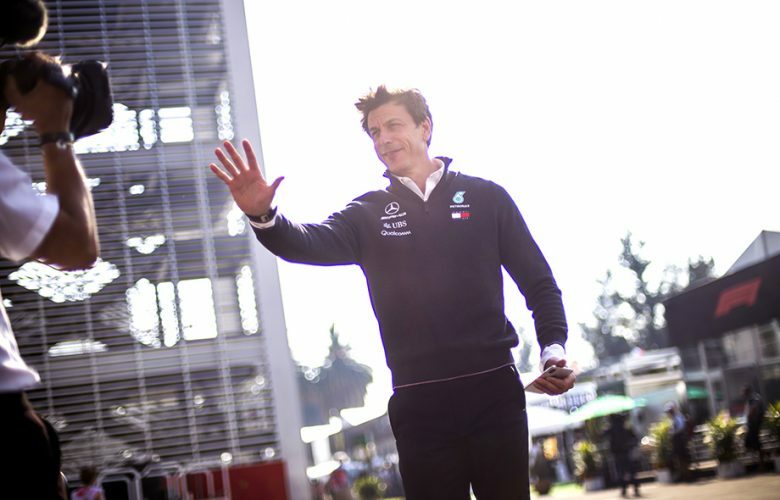 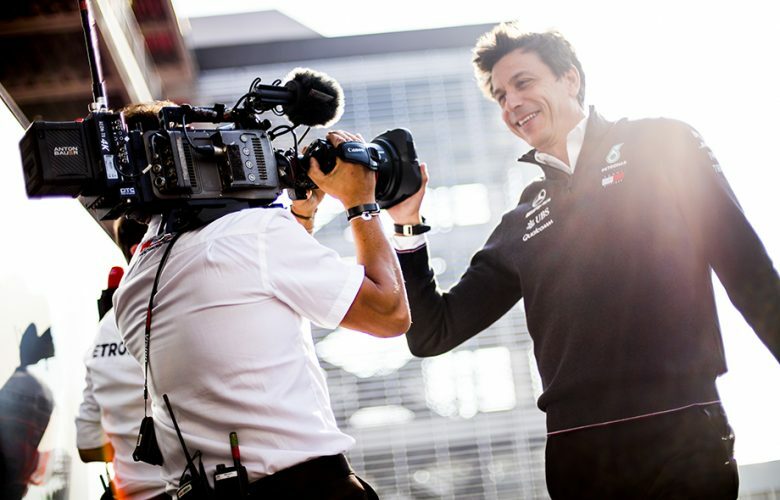 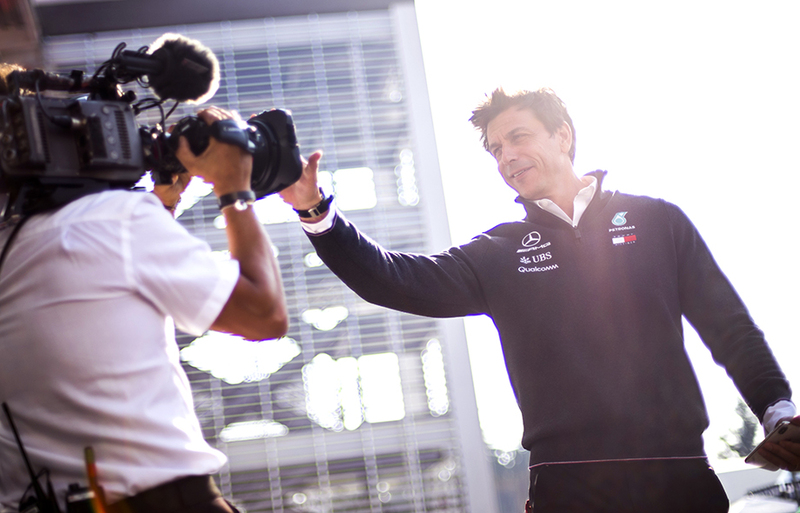 Mercedes AMG Executive Director Toto Wolff is seen in the paddock during practice for the Mexican Formula One Grand Prix at Autodromo Hermanos Rodriguez on October 26, 2018 in Mexico City, Mexico. Daniel Ricciardo of Australia and Aston Martin Red Bull Racing inside his cockpit during practice for the Mexican Formula One Grand Prix at Autodromo Hermanos Rodriguez on October 26, 2018 in Mexico City, Mexico. Lewis Hamilton of Great Britain and Mercedes AMG Petronas drives his W09 during practice for the Mexican Formula One Grand Prix at Autodromo Hermanos Rodriguez on October 26, 2018 in Mexico City, Mexico. 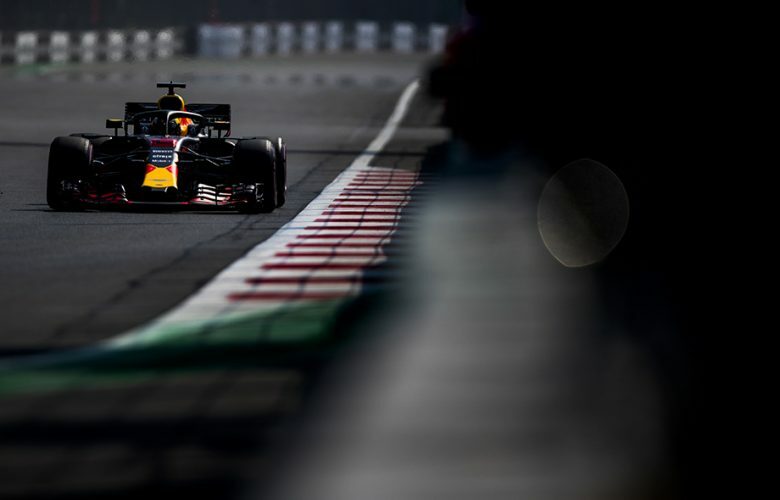 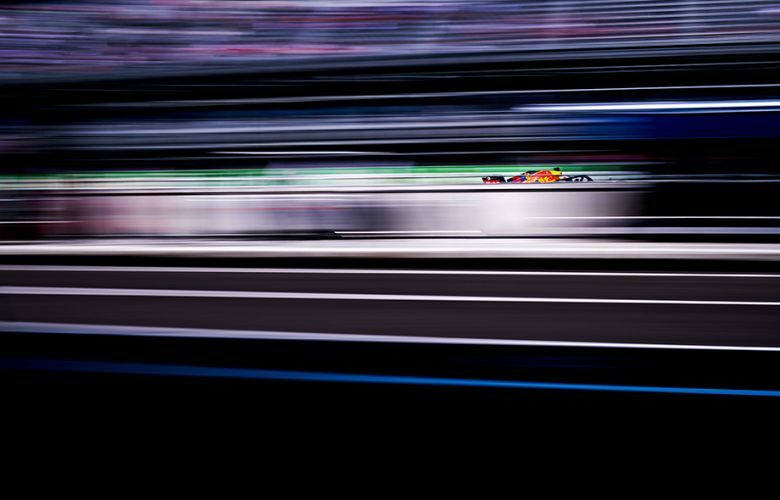 Max Verstappen of Netherlands and Aston Martin Red Bull Racing drives his RB14 during qualifying for the Mexican Formula One Grand Prix at Autodromo Hermanos Rodriguez on October 27, 2018 in Mexico City, Mexico. Max Verstappen of Netherlands and Aston Martin Red Bull Racing drives his RB14 during practice for the Mexican Formula One Grand Prix at Autodromo Hermanos Rodriguez on October 26, 2018 in Mexico City, Mexico. 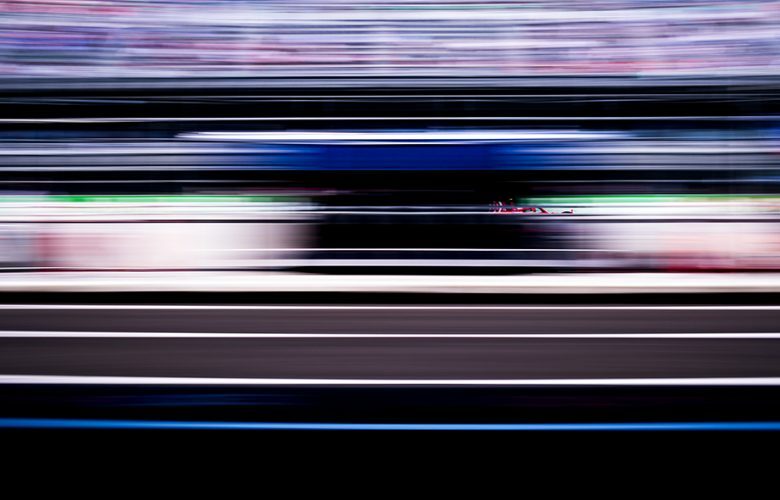 Kimi Raikkonen of Finland and Scuderia Ferrari drives his SF71H during practice for the Mexican Formula One Grand Prix at Autodromo Hermanos Rodriguez on October 26, 2018 in Mexico City, Mexico. 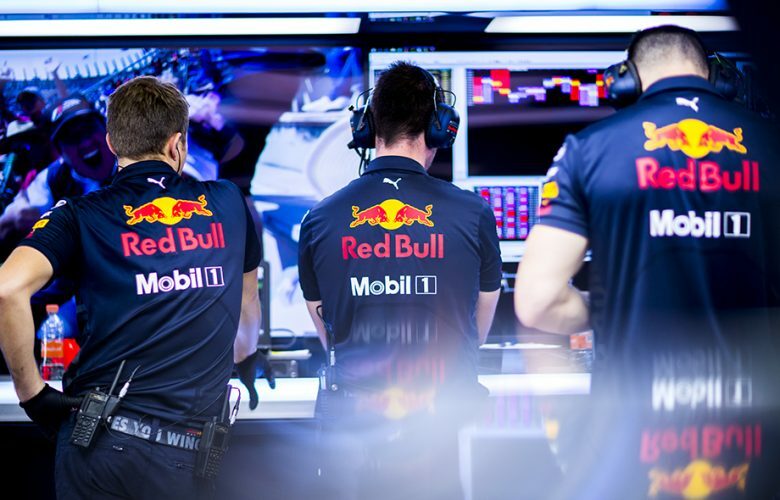 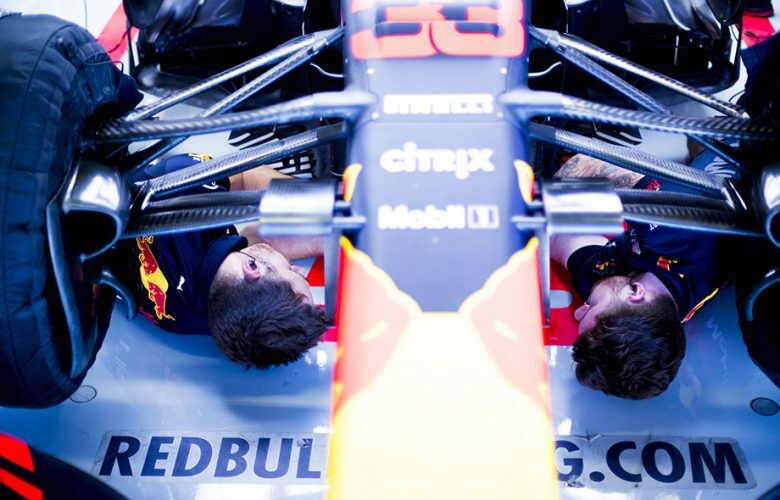 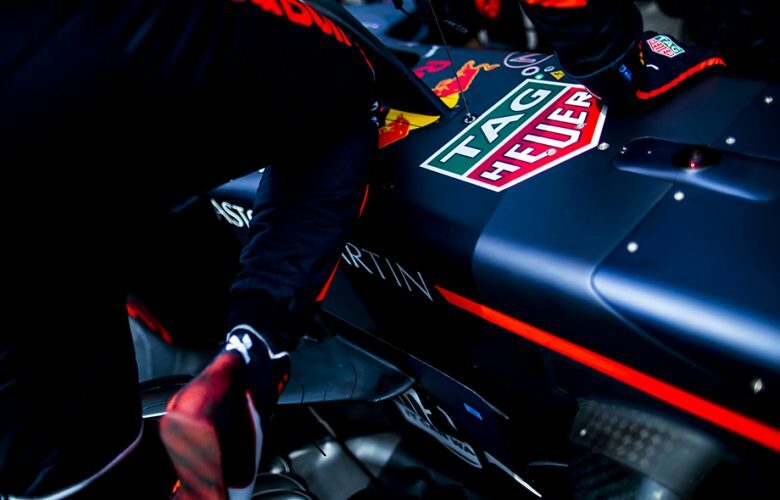 Aston Martin Red Bull Racing mechanics during practice for the Mexican Formula One Grand Prix at Autodromo Hermanos Rodriguez on October 26, 2018 in Mexico City, Mexico. 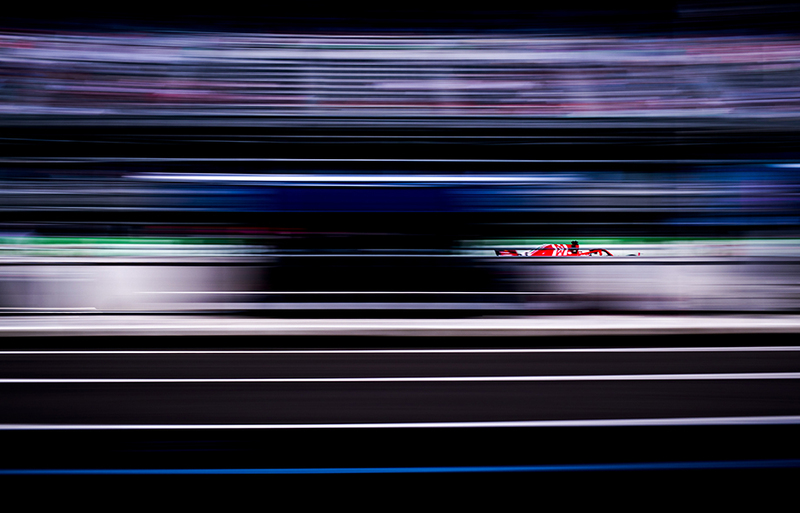 Sebastian Vettel of Germany and Scuderia Ferrari drives his SF71H during practice for the Mexican Formula One Grand Prix at Autodromo Hermanos Rodriguez on October 26, 2018 in Mexico City, Mexico. 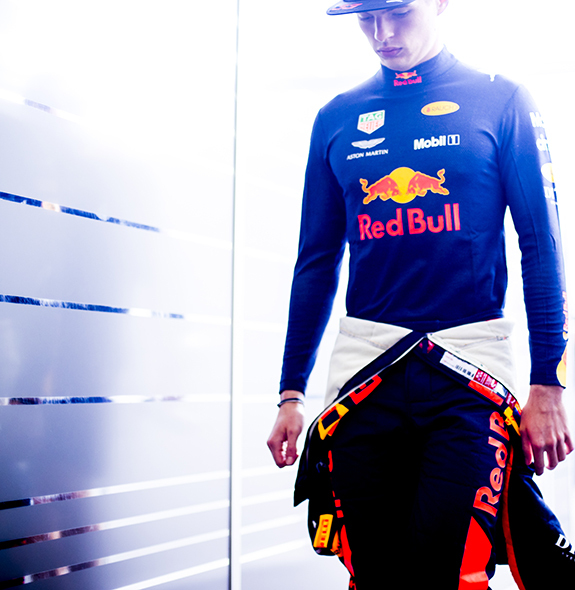 Max Verstappen of Netherlands and Aston Martin Red Bull Racing walks into the garage during practice prior qualifying for the Mexican Formula One Grand Prix at Autodromo Hermanos Rodriguez on October 27, 2018 in Mexico City, Mexico. 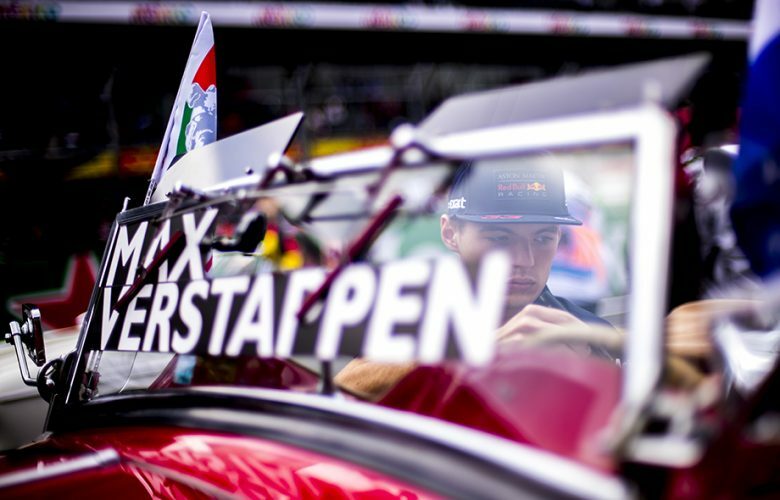 Max Verstappen of Netherlands and Aston Martin Red Bull Racing steps into his RB14 during practice prior qualifying for the Mexican Formula One Grand Prix at Autodromo Hermanos Rodriguez on October 27, 2018 in Mexico City, Mexico. 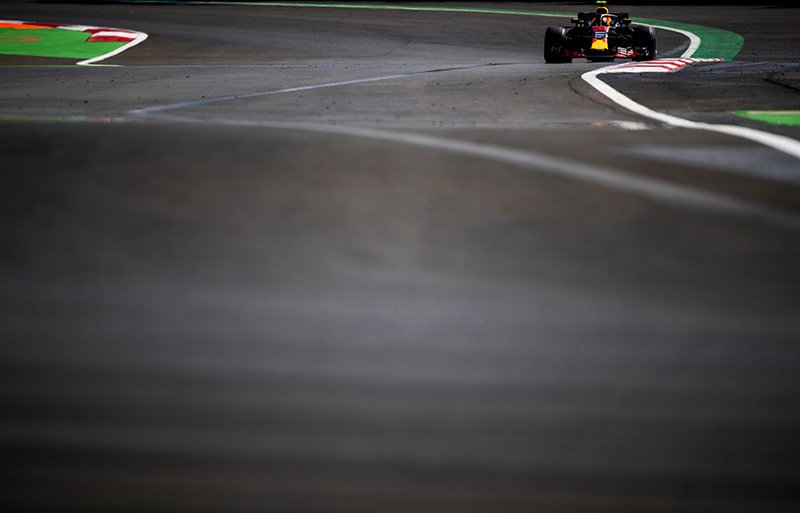 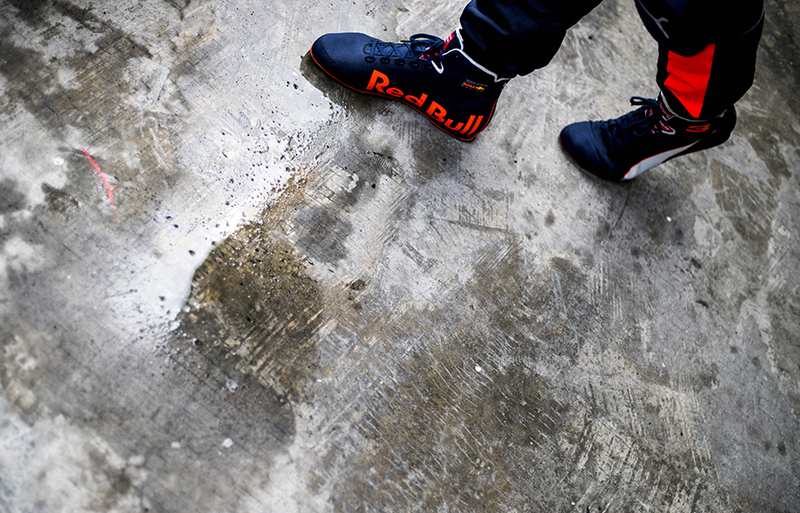 Daniel Ricciardo of Australia and Aston Martin Red Bull Racing walks in the pitlane during practice prior qualifying for the Mexican Formula One Grand Prix at Autodromo Hermanos Rodriguez on October 27, 2018 in Mexico City, Mexico. Daniel Ricciardo of Australia and Aston Martin Red Bull Racing steps out of his RB14 during practice prior qualifying for the Mexican Formula One Grand Prix at Autodromo Hermanos Rodriguez on October 27, 2018 in Mexico City, Mexico. 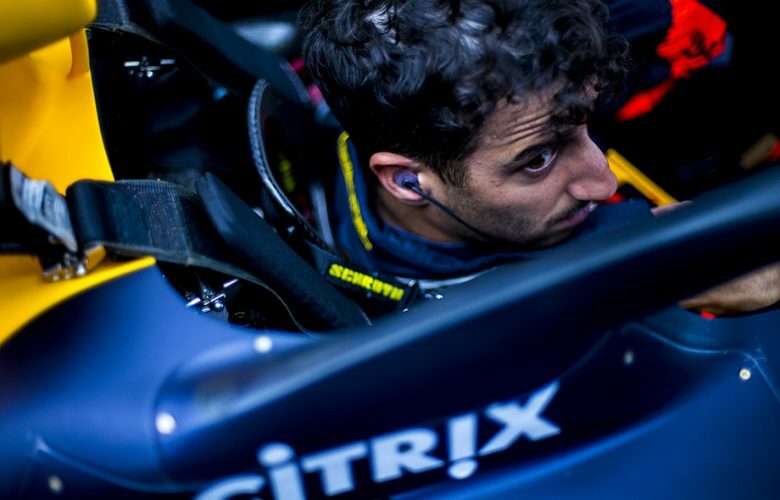 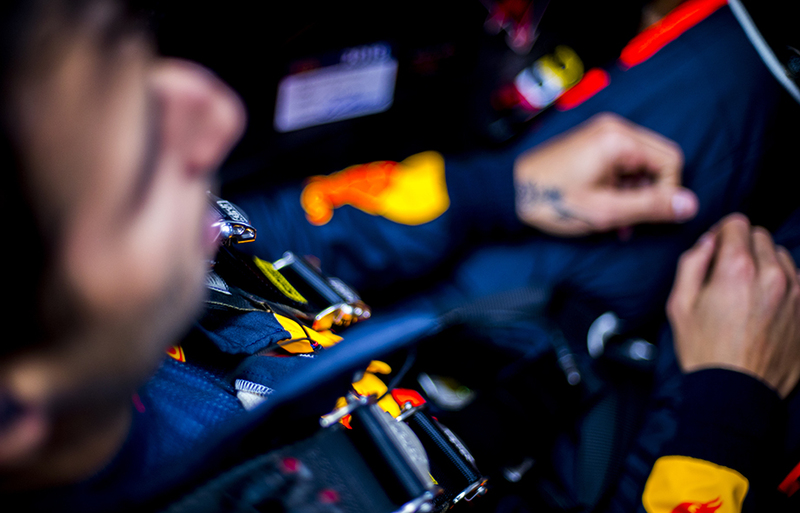 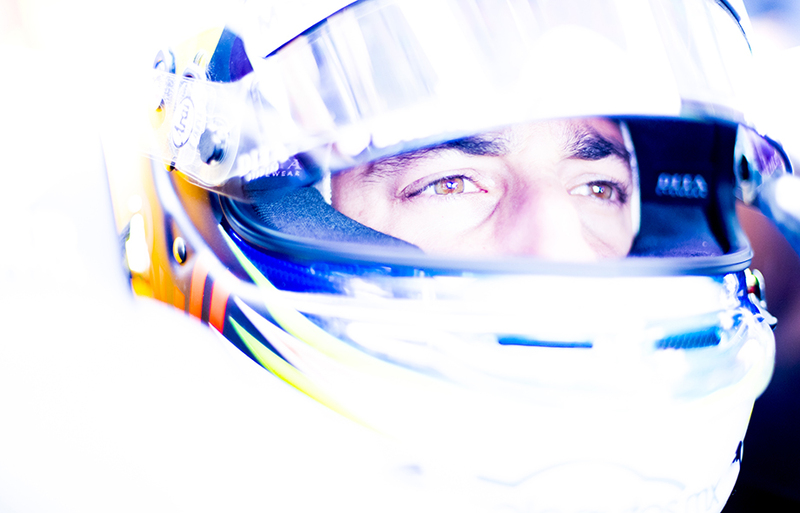 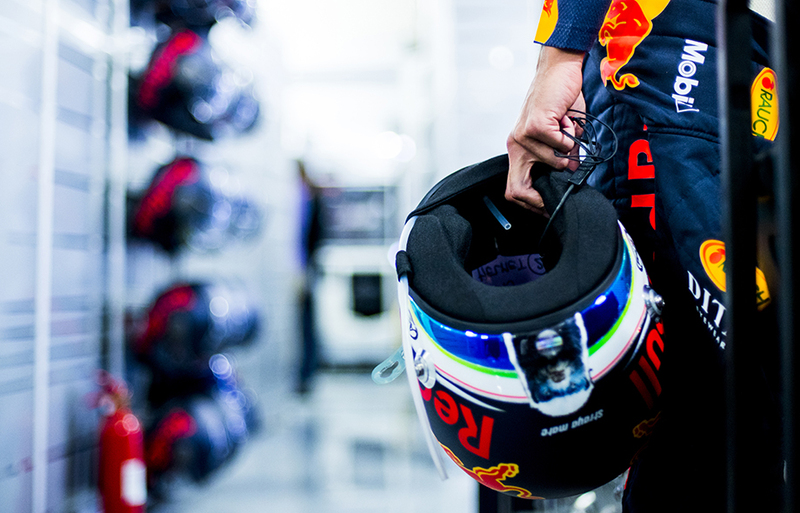 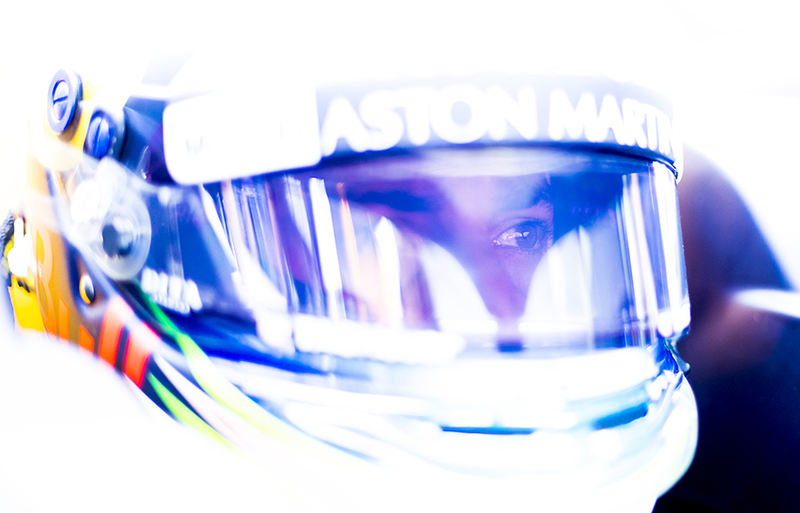 Daniel Ricciardo of Australia and Aston Martin Red Bull Racing prepares inside his cockpit during practice prior qualifying for the Mexican Formula One Grand Prix at Autodromo Hermanos Rodriguez on October 27, 2018 in Mexico City, Mexico. 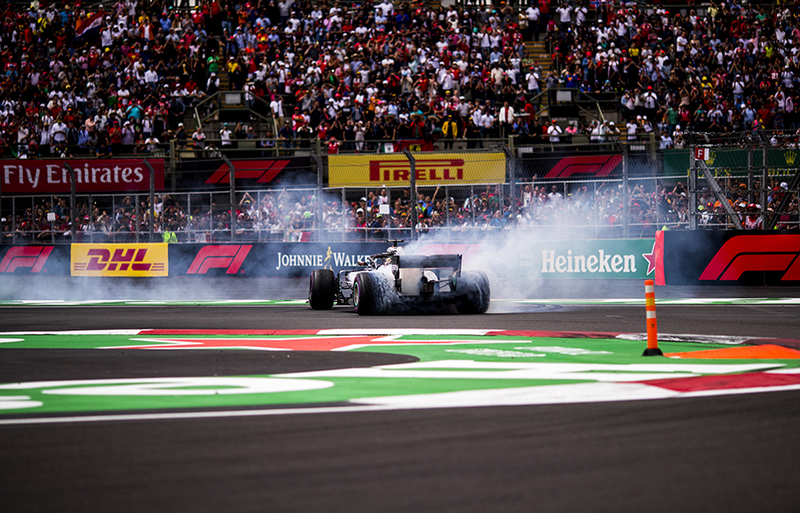 Brendon Hartley of New Zealand and Scuderia Toro Rosso in action during qualifying for the Mexican Formula One Grand Prix at Autodromo Hermanos Rodriguez on October 27, 2018 in Mexico City, Mexico. 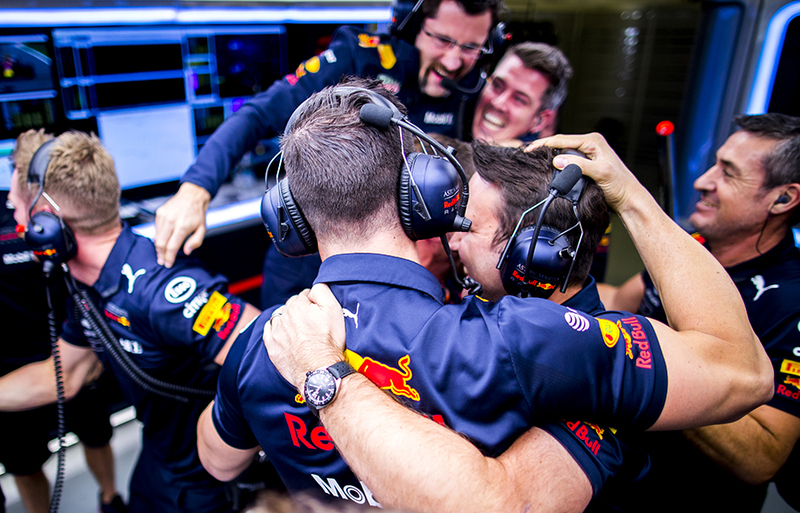 Team Aston Martin Red Bull Racing celebrates the pole position of Daniel Ricciardo of Australia and Aston Martin Red Bull Racing during qualifying for the Mexican Formula One Grand Prix at Autodromo Hermanos Rodriguez on October 27, 2018 in Mexico City, Mexico. 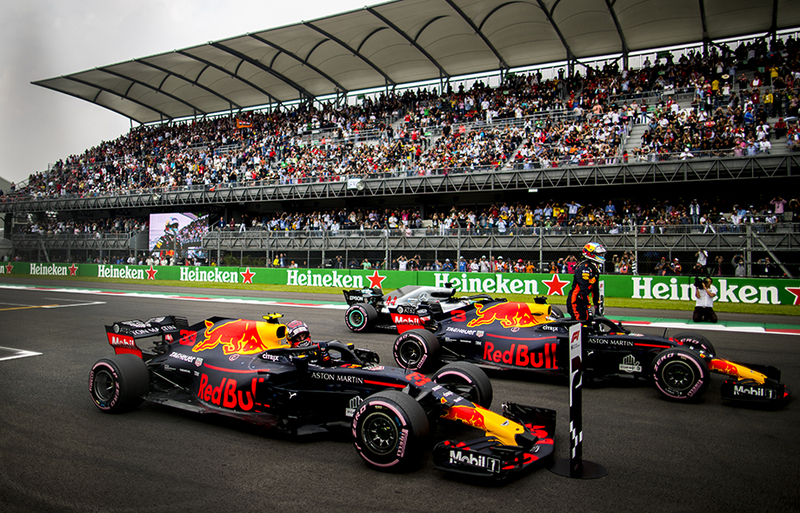 Daniel Ricciardo of Australia and Aston Martin Red Bull Racing arrives on the grid following his pole position as second finishing Max Verstappen of Netherlands and Aston Martin Red Bull Racing and third finishing Lewis Hamilton of Great Britain and Mercedes AMG Petronas park their cars following qualifying for the Mexican Formula One Grand Prix at Autodromo Hermanos Rodriguez on October 27, 2018 in Mexico City, Mexico. 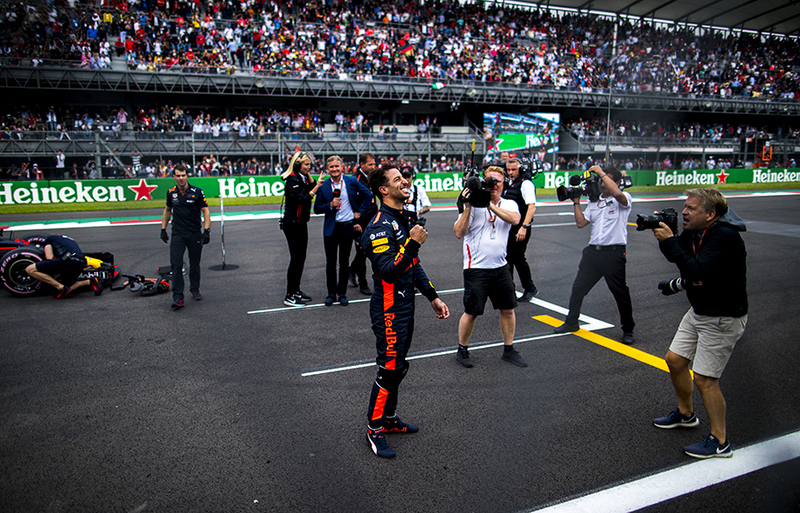 Daniel Ricciardo of Australia and Aston Martin Red Bull Racing celebrates his pole position following qualifying for the Mexican Formula One Grand Prix at Autodromo Hermanos Rodriguez on October 27, 2018 in Mexico City, Mexico. 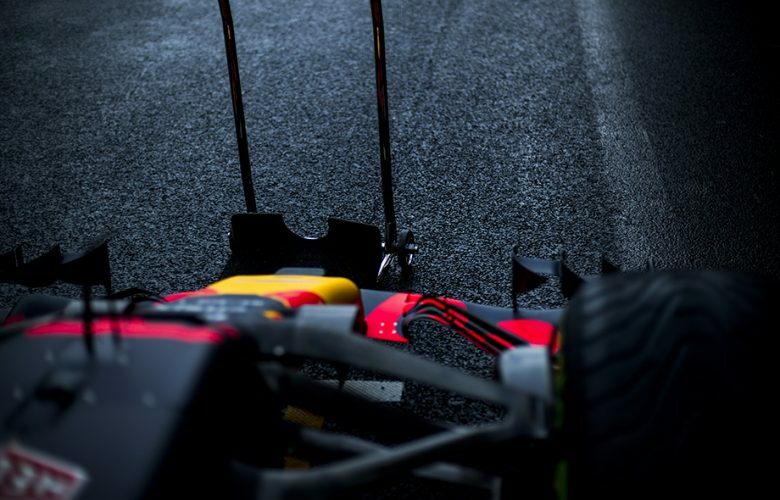 Aston Martin Red Bull Racing's RB14 stands in the pit lane following practice prior qualifying for the Mexican Formula One Grand Prix at Autodromo Hermanos Rodriguez on October 27, 2018 in Mexico City, Mexico. 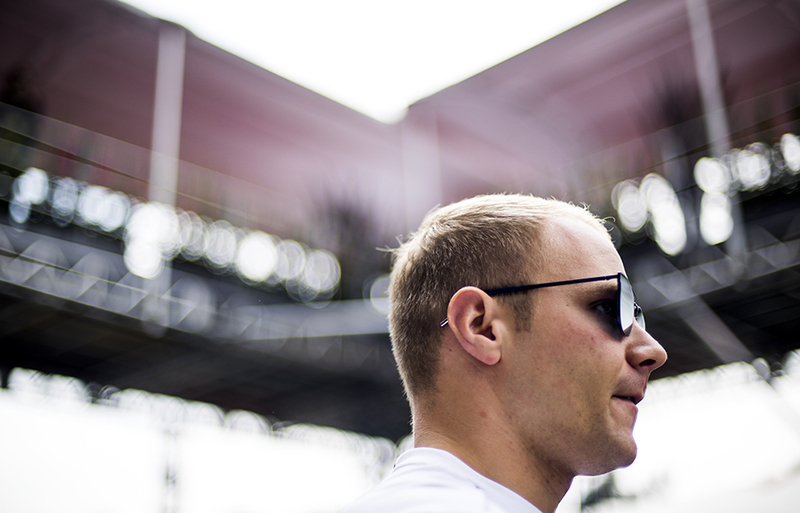 Valtteri Bottas of Finland and Mercedes AMG Petronas is seen ahead of the Mexican Formula One Grand Prix at Autodromo Hermanos Rodriguez on October 28, 2018 in Mexico City, Mexico. Max Verstappen of Netherlands and Aston Martin Red Bull Racing is seen during driver's parade prior to the Mexican Formula One Grand Prix at Autodromo Hermanos Rodriguez on October 28, 2018 in Mexico City, Mexico. Daniel Ricciardo of Australia and Aston Martin Red Bull Racing steps out of his RB14 ahead of the Mexican Formula One Grand Prix at Autodromo Hermanos Rodriguez on October 28, 2018 in Mexico City, Mexico. 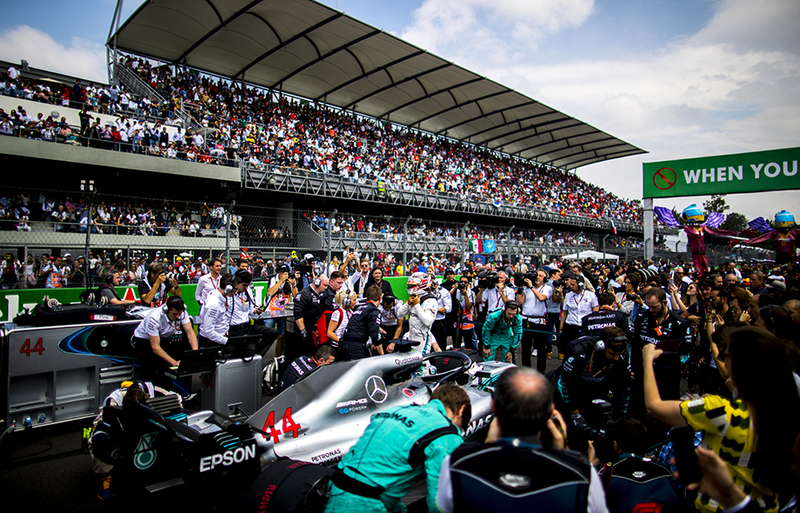 Lewis Hamilton of Great Britain and Mercedes AMG Petronas arrives on the grid prior to the Mexican Formula One Grand Prix at Autodromo Hermanos Rodriguez on October 28, 2018 in Mexico City, Mexico. 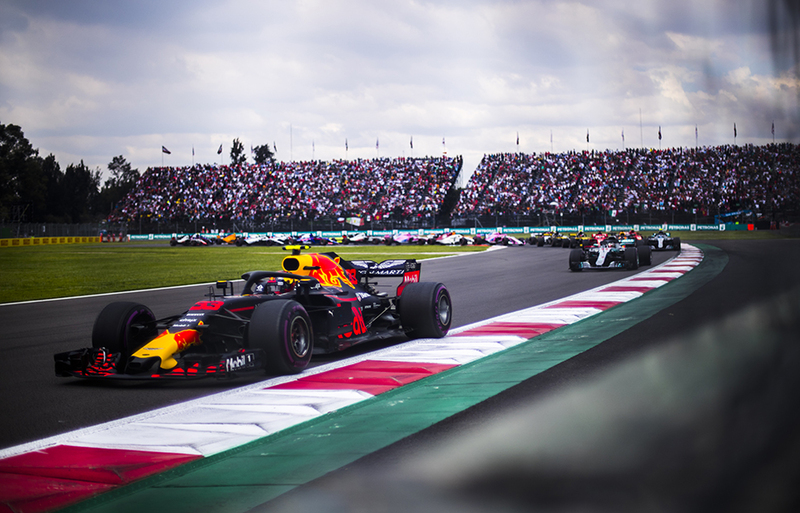 Max Verstappen of Netherlands and Aston Martin Red Bull Racing leads into turn 3 following the start of the Mexican Formula One Grand Prix at Autodromo Hermanos Rodriguez on October 28, 2018 in Mexico City, Mexico. 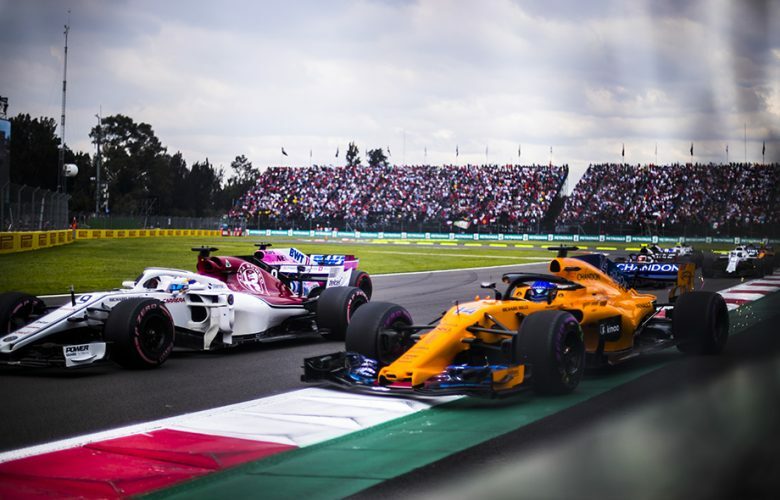 Marcus Ericsson of Sweden and Alfa Romeo Sauber F1 Team battles side by side with Fernando Alonso of Spain and McLaren and Sergio Perez of Mexico and Racing Point Force India during the Mexican Formula One Grand Prix at Autodromo Hermanos Rodriguez on October 28, 2018 in Mexico City, Mexico. 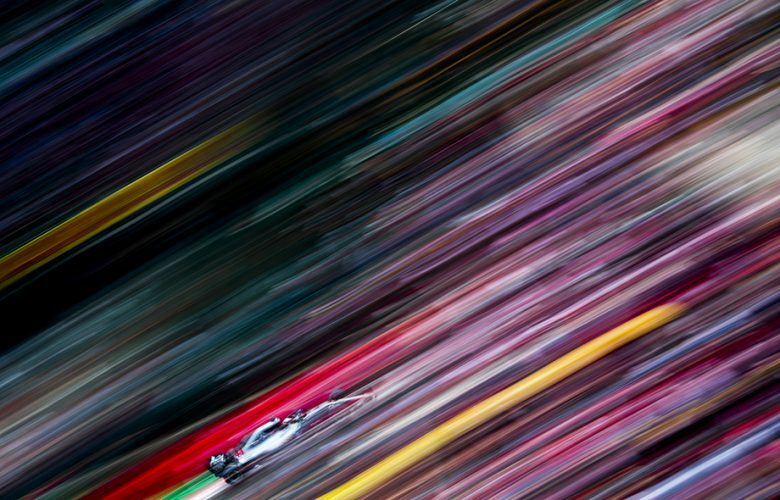 Lewis Hamilton of Great Britain and Mercedes AMG Petronas drives his W09 during the Mexican Formula One Grand Prix at Autodromo Hermanos Rodriguez on October 28, 2018 in Mexico City, Mexico. 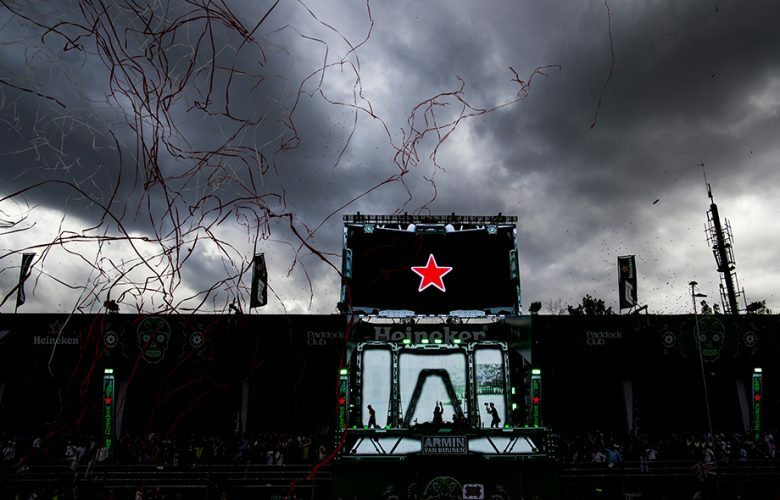 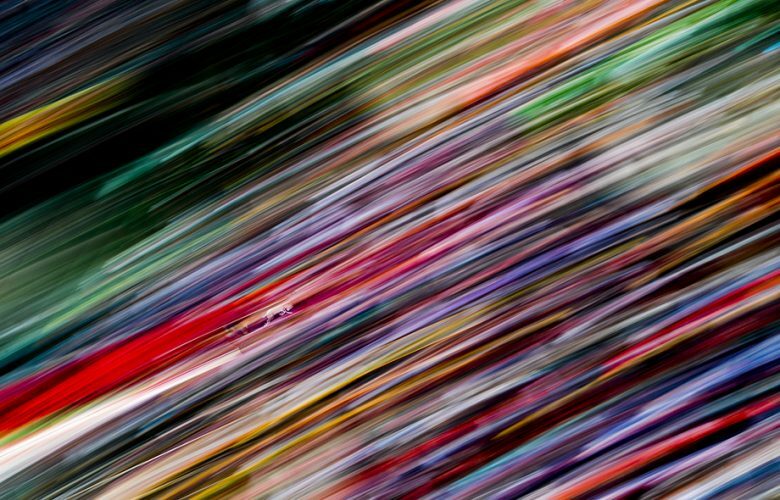 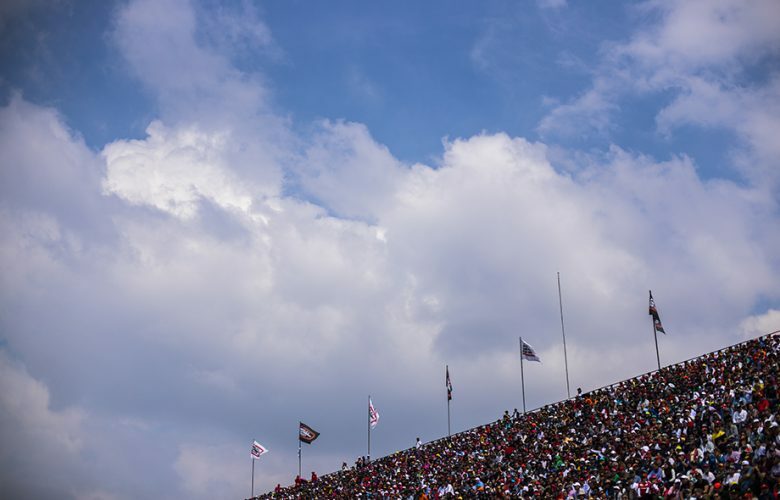 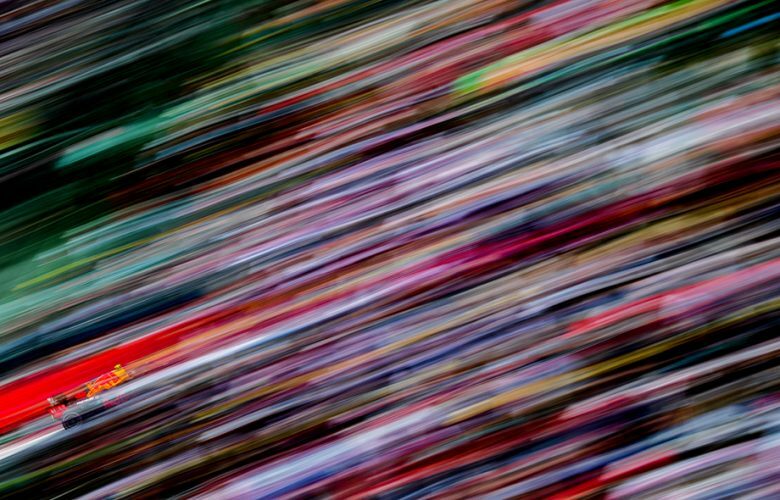 Spectators are seen in the grand stand during the Mexican Formula One Grand Prix at Autodromo Hermanos Rodriguez on October 28, 2018 in Mexico City, Mexico. 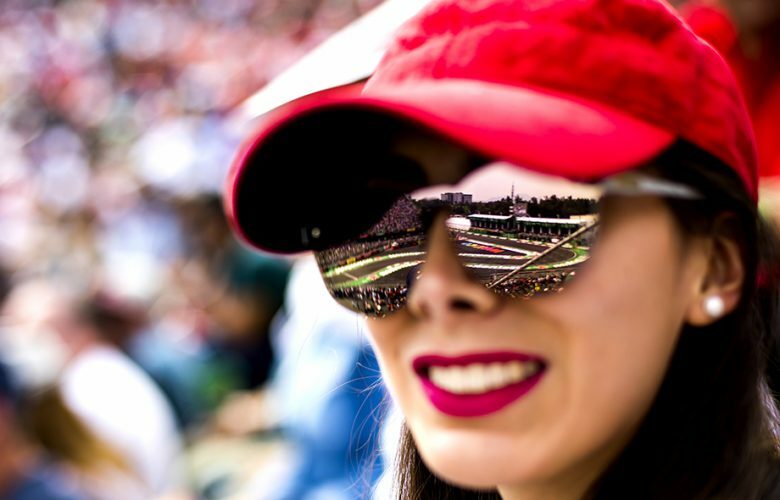 A female spectator follows the race in the stadium area during the Mexican Formula One Grand Prix at Autodromo Hermanos Rodriguez on October 28, 2018 in Mexico City, Mexico. 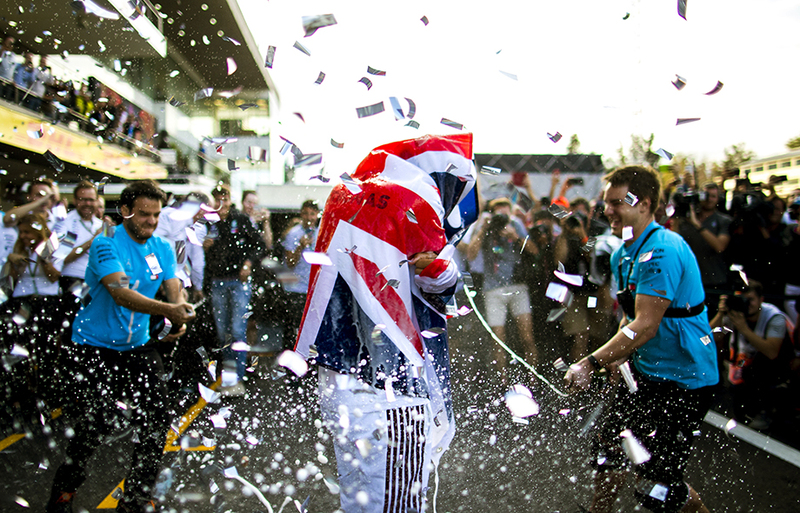 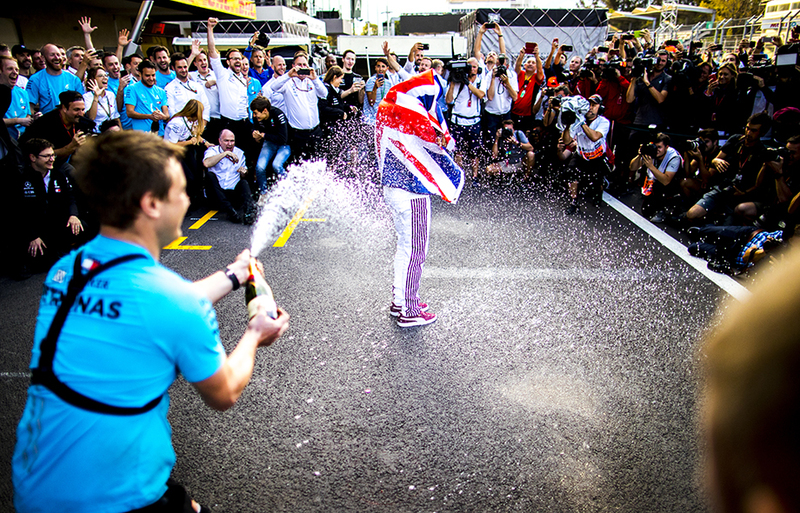 Lewis Hamilton of Great Britain and Mercedes AMG Petronas celebrates after claiming his fifth driver's championship title following the Mexican Formula One Grand Prix at Autodromo Hermanos Rodriguez on October 28, 2018 in Mexico City, Mexico. 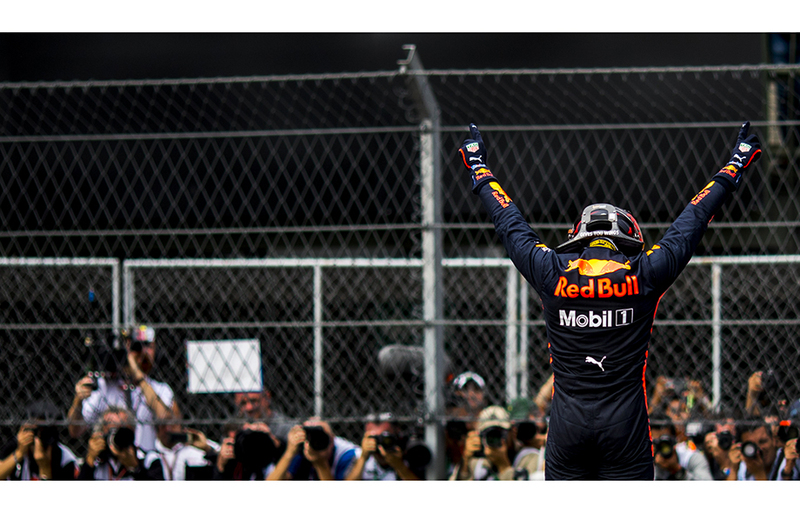 Max Verstappen of Netherlands and Aston Martin Red Bull Racing celebrates his win following the Mexican Formula One Grand Prix at Autodromo Hermanos Rodriguez on October 28, 2018 in Mexico City, Mexico. 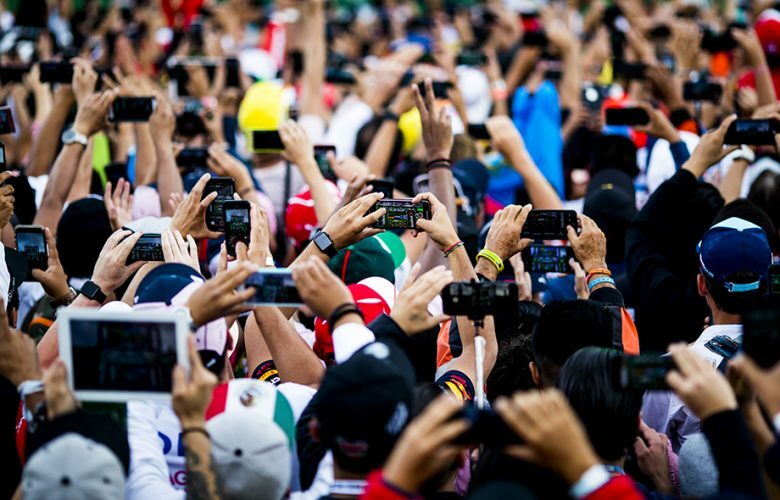 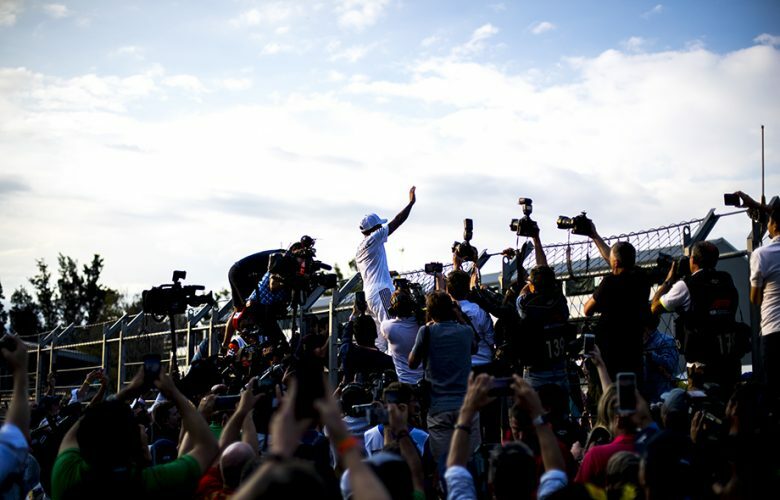 Spectators take pictures of the drivers on the podium following the Mexican Formula One Grand Prix at Autodromo Hermanos Rodriguez on October 28, 2018 in Mexico City, Mexico. Max Verstappen of Netherlands and Aston Martin Red Bull Racing leaves the podium as star DJ Armin van Buuren performs following the Mexican Formula One Grand Prix at Autodromo Hermanos Rodriguez on October 28, 2018 in Mexico City, Mexico. 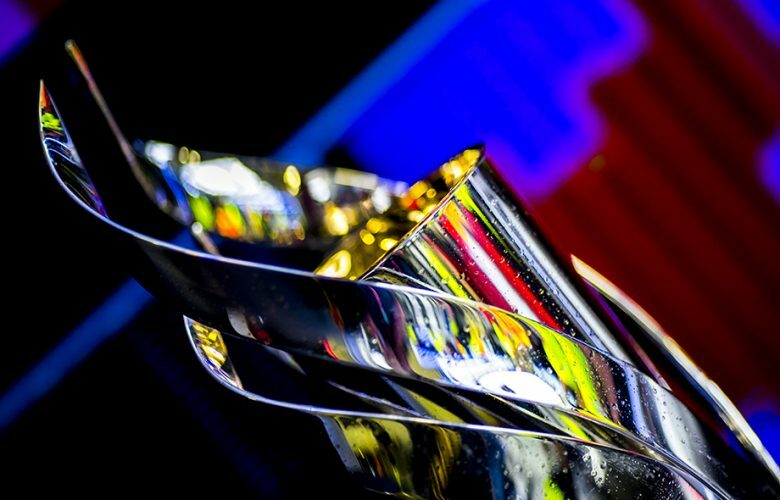 A detail view of the winning trophy is pictured following the Mexican Formula One Grand Prix at Autodromo Hermanos Rodriguez on October 28, 2018 in Mexico City, Mexico. 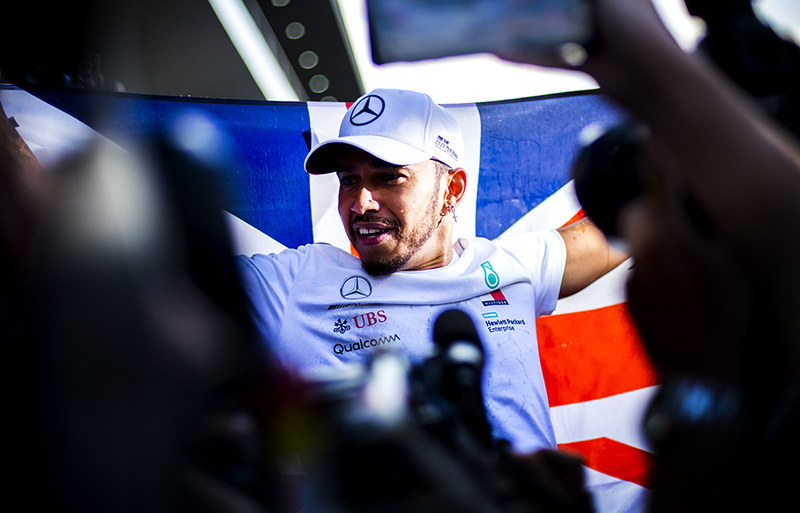 Lewis Hamilton of Great Britain and Mercedes AMG Petronas poses for a team photo after claiming his fifth driver's championship title following the Mexican Formula One Grand Prix at Autodromo Hermanos Rodriguez on October 29, 2018 in Mexico City, Mexico. 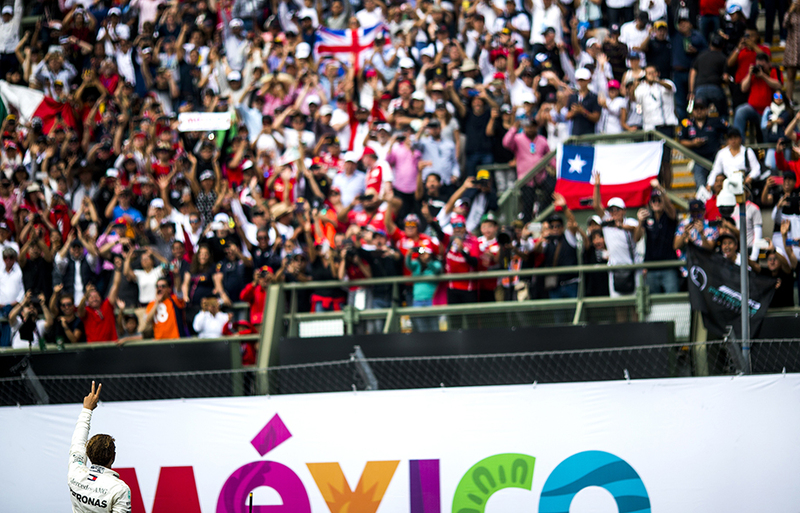 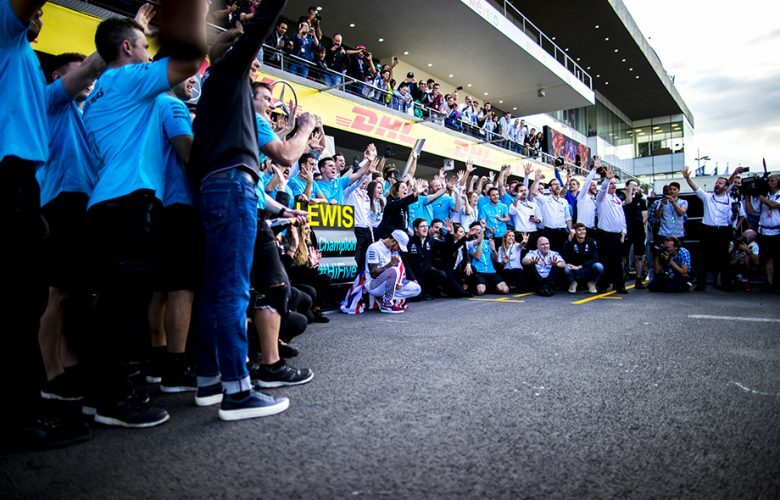 Lewis Hamilton of Great Britain and Mercedes AMG Petronas celebrates with his team after claiming his fifth driver's championship title following the Mexican Formula One Grand Prix at Autodromo Hermanos Rodriguez on October 29, 2018 in Mexico City, Mexico.